Our client is one of the globally leading financial services firms with a solid presence and a majority of market share across the world. They are looking to hire an VP HRBP for India to spearhead their business partnering activities of the organisation for their Operations vertical. 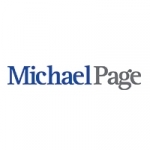 Page Group India is acting as an Employment Business in relation to this vacancy.